A team from California is investigating the effects of toxic ash on fruit and vegetables in Sonoma County following 2017's devastating wildfires. Their findings could help unravel the larger mystery of how pollution affects produce. 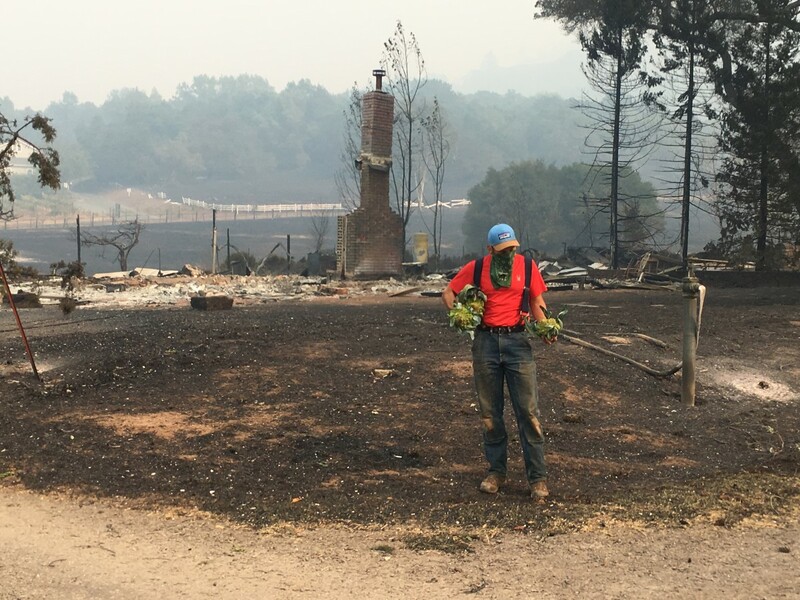 Farm employee Zebulon Siegel holds salvaged produce at Oak Hill Farm following the 2017 fires in Sonoma County, California. After the wildfires ripped through Sonoma County, California, last October, Evan Wiig went into his garden and found his homegrown vegetables covered in a layer of ash. Scattered among this toxic dust were pages of books that had rained down from the sky. It wasn&apos;t just Wiig&apos;s yard. The burned remains from the wildfire dusted the landscape for miles around. As the immediate shock of the disaster subsided, this visible pollution led people to wonder whether their fresh produce had been contaminated by the smoke. The soot-covered vegetables made an impression because Wiig, as a community organizer with the Farmers Guild and the Community Alliance With Family Farmers, had been one of the people responsible for coordinating a regional food relief effort—in part through dispensing homegrown produce. As more than 100,000 people were evacuated and many lost their homes, one of the main challenges was ensuring that people had enough to eat. Eager to steer people away from a "disaster diet" of canned and processed foods, Wiig had reached out to local farmers, who responded generously and enthusiastically from within the county and beyond, bringing truckloads of fresh produce to the evacuation centers. "Suddenly, people didn&apos;t have their kitchens, people were in shelters, people were being taken in by friends and family. You had folks who suddenly had 10 other people to feed in their home, and it was expensive," Wiig says. "There was an immediate need for food, and all these incredible grassroots emergency kitchens started popping up." Yet as ash wafted from the sky, organizers began to confront a new worry: Was the food they were providing safe to eat? Residents, too, had seen the ash that had descended from the sky and coated the ground, and they knew that it contained nothing good. The wildfires hadn&apos;t just burned through forest, but also through urban areas, including more than 5,000 structures. 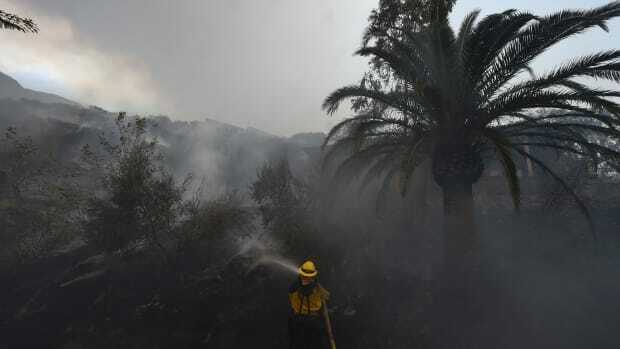 Everything burned, from plastics to cleaning products to cars, and the winds had now sprinkled these toxic substances across Sonoma County&apos;s gardens and fields. The damaging effects of wildfire-related air pollution on human health are well documented. Residents naturally wanted to know if they were directly consuming the same toxins they had been told to avoid breathing—a concern that will only grow more fraught and widespread near urban areas under intensifying global wildfires. Vanessa Raditz, who works part-time as a farmer in New Jersey, had rushed to Sonoma County when she heard about the disaster. She was living in Oakland at the time but had previously spent a year doing food and community work in the area, and felt herself drawn toward the scene of the disaster. She remembers how, as she hauled boxes of produce into the kitchen, another volunteer asked her how quickly she thought air pollutants could get into the soil and be taken up through the roots of the plants. Raditz was well equipped to answer the question. She&apos;d recently finished a master&apos;s degree in public health at the University of California–Berkeley, where she&apos;d partly focused on the impact of air pollution on a roof garden in Helsinki, Finland. She replied that contaminants didn&apos;t need to enter the soil to be absorbed by the plant; studies have shown that leaves can absorb certain pollutants, like lead and polycyclic aromatic hydrocarbons, directly from the air. Raditz wasn&apos;t alone in hearing concerns about the quality of the fresh produce being donated. Farmers were also fielding queries about their fruit and vegetables, and, with few answers at hand, all they could do was advise their customers to triple-wash their products. Suzi Grady, program director at Petaluma Bounty, another local food organization that was key in the emergency response, says that some customers questioned whether she should be promoting this local produce after the fire at all. The public uncertainty over the safety of the produce was compounded by the scarcity of published scientific studies on the risks. 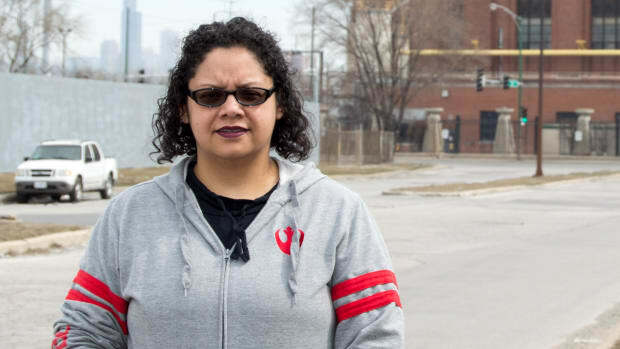 Based on her previous work, Raditz considered it unlikely that the smoke from the fire would cause a hazard to public health, but she thought that there was enough uncertainty—and enough public interest in the question—to collect some hard data. "This is really not the thing to be worried about, in the grand scheme of all the things to be worried about when a wildfire hits your city," she says. "But the reason we still moved forward was because so many people were concerned, and I think their concern was justified." Those concerns were also potentially harmful. 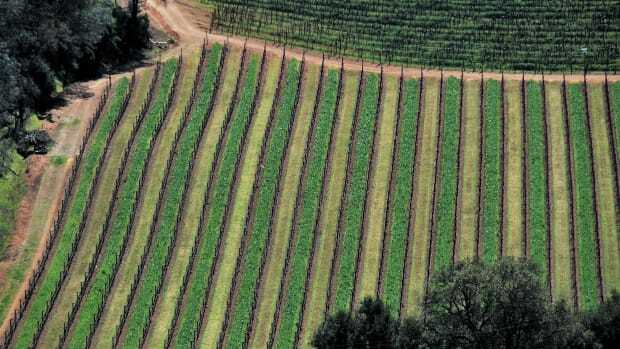 Sonoma County has a rich and resilient food system. In rejecting it, residents would potentially replace their diet of local organic produce with food grown in areas that are more severely, albeit less visibly, polluted—for instance, from tailpipe and industrial emissions. Rejecting local vegetables could also bring financial hardship to the county&apos;s farmers, who not only donated their produce, but, in some cases, lost farms, equipment, and business when the fire swept through the region. 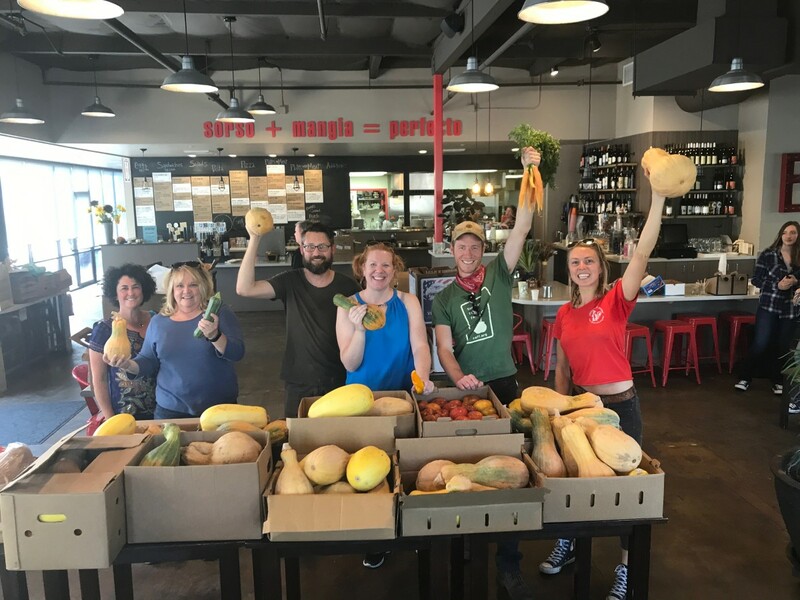 Volunteers organize donated produce from local farms for evacuees after the fires in Sonoma, California. "Some farmers have reported anecdotally that some people are not coming to the farmers&apos; market for fear of contamination," Raditz says. "I try to remind people about that larger framework of air pollution and produce safety: If you&apos;re not buying your produce from Sonoma County, where are you getting it from? What kind of air pollution are those fields experiencing on a daily basis? Because that&apos;s really where I think the concern is for direct uptake of air pollutants. It&apos;s going to be in areas where you have chronic, daily, high levels of pollutants of concern. That&apos;s where there&apos;s a much higher chance of the produce taking it up in meaningful concentrations." To investigate these worries, Raditz embarked on a citizen science project, Produce Safety After Urban Wildfire, training local people to gather samples of produce—in particular, leafy greens such as lettuce, chard, kale, and collard, where the leaf you eat has directly absorbed the air—and sending those samples to two private laboratories for testing. In the first month after the fire, this network managed to gather over 200 samples from farms and gardens across Sonoma County. But the story could be different for another popular product of small-scale farming: eggs. 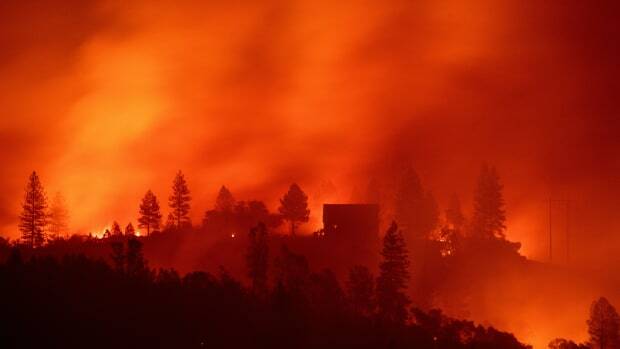 Another study being undertaken by scientists at the University of California–Davis is examining how the ash distributed by the fires could have affected poultry and the eggs they produce. This group, too, has just received its first batch of data. "Chickens are unique in that they spend 25 percent of their waking time eating off the ground. It&apos;s a worst-case scenario, where they really are products of the environment because they spend so much time ingesting it. Eggs are particularly worrisome because yolks are very fatty, and a lot of these chemicals are very fat soluble," says Maurice Pitesky, a veterinarian and epidemiologist working on the study. 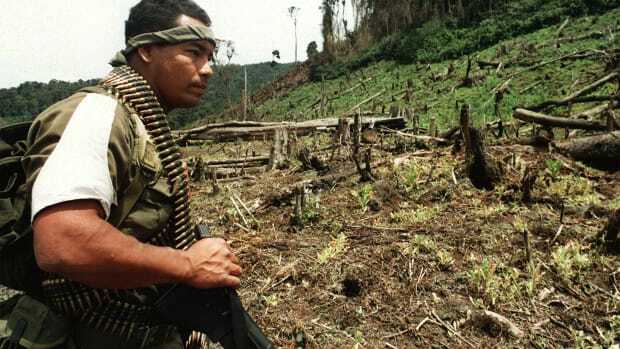 "It&apos;s a bit of a different risk factor from some produce. I would be very surprised if we didn&apos;t find something." Raditz&apos;s project looked at a small area of California. In giving people the courage to return to the farmers&apos; market for their local produce, Raditz hopes to nurture the local food network in Sonoma County, which has already proved so vital to the area&apos;s resilience in the face of disaster. 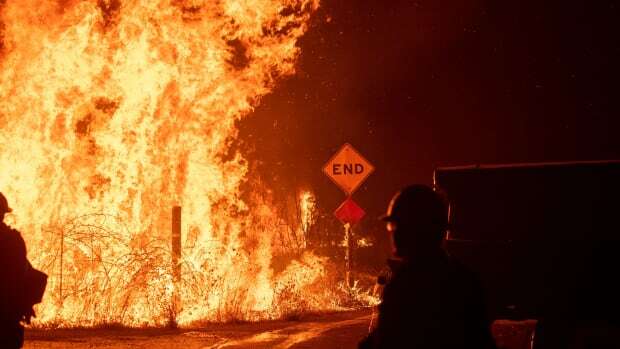 But she also sees the project having broader implications, adding to a scientific field that is still sparse despite its increasing relevance as human development and climate change put more buildings—and more potential contaminants—in the line of wildfire. "In the Central Valley, the San Joaquin Valley, those are the areas with the highest levels of air pollution in the state of California. That&apos;s where we&apos;re growing the produce we&apos;re selling to the world," Raditz says. "If there is a scientific reason for concern about air pollution in produce, then anything we might find in Sonoma County after the disaster could help us better understand the larger phenomenon, which is important for everywhere where we grow food." *Update—July 19th, 2018: This article has been updated to reflect the level of nickel content in the samples.